After 14 years Cadillac has returned to endurance racing—with outstanding success! MotorTrend reports that the Cadillac V-Performance DPi-V.R prototype race car celebrated seven consecutive wins in the International Motor Sports Association (IMSA) WeatherTech SportsCar Championship. In addition, Cadillac earned the Manufacturer’s Championship for seven wins out of 10 races in 2017. Now, Cadillac is celebrating its triumph with a limited production of the 2018 Cadillac ATS-V coupe and sedan and the 2018 Cadillac CTS-V super sedan. Both the ATS-V and CTS-V Championship Edition vehicles stand out in either Black Raven or Crystal White paint and distinctive Red Obsession Mirror caps. Standard on these mid-sized, limited editions are red Brembo® brakes and RECARO® performance seats. The Morello Red Package for the interior adds definite style. The split-folding rear seats are finished with the Morello red stitching plus a Morello-accented high-gloss carbon fiber interior trim. Other carbon fiber elements include the rear spoiler, rear diffuser, front splitter, and the hood vent. In addition to the standard ATS-V features, the 2018 Cadillac ATS-V Championship Edition sedans and coupes offer an array of high-end finishes and performance parts. While the Cadillac ATS features a 4-cylinder, 2-liter engine, the ultra high-performance Cadillac ATS-V boasts a powerful 6-cylinder, 3.6-liter engine. Whoever’s lucky enough to drive one of these will smoothly hit the highway on 18-inch, V-Series wheels with polished alloy and Midnight Silver painted pockets. These bad boys effortlessly grip the road, while the standard Brembo brakes offer solid stopping power. Slip behind the wheel of the Cadillac CTS-V Championship Edition super sedan and it’s all about the seamless combination of luxury and power. Its 8-cylinder, 6.2-liter engine will get you where you need to go, while the luxurious details take you there in style. The CTS-V has a Luxury Package that includes a 110-volt power receptacle, tri-zone climate control for optimum comfort, and heated rear outboard seating positions.The latter allows anyone sitting in the rear to make temperature adjustments to suit their needs without having to rely on the driver or front passenger. The Luxury Package also offers more for rear passengers—manual rear side-window sunshades and a power rear-window sunshade. While the ATS-V Championship Edition has a standard sunroof, the CTS-V boats the UltraView sunroof. This luxury feature spans both the front and rear seats of the car to provide a truly spacious feel. It features advanced technology that automatically adjusts the volume of the vehicle’s audio sound when the power roof is opened or closed. Another difference between the ATS-V and CTS-V are the wheels. The CTS-V Championship Edition cruises on 19-inch, V-Series wheels. These larger wheels, like the 18-inch versions on the ATS-V, also feature a polished alloy with Midnight Silver painted pockets and the red caliper Brembo brakes. Dreaming of a Championship Edition? 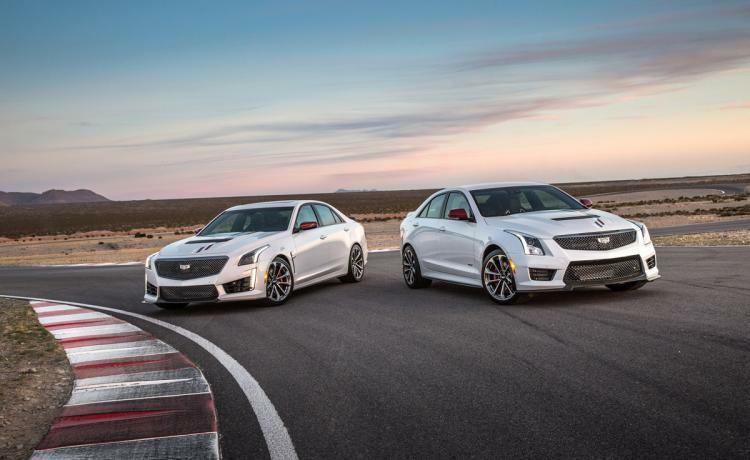 The Championship Edition 2018 ATS-V starts at US$72,190 for the sedan models and US$74,390 for the coupes. 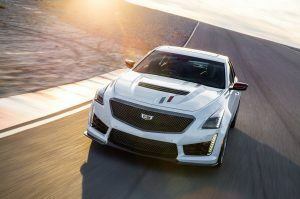 Starting price on the Cadillac CTS-V Championship Edition super sedan is $105,730. Now here’s the bad news: Only 200 of these Championship Edition vehicles will make their way through North America. They’ll be arriving at dealerships this month—although there’s no word yet on whether we’ll see one at Budds’. However, in honour of Cadillac’s landmark racing achievement, we at Budds’ Chevrolet Cadillac Buick GMC invite you to come in and check out our entire selection of 2018 Cadillac models—from the Cadillac ATS and ATS-V to the CTS, CTS-V, XTS, CT6, and the CT6 Plug-in with its lithium ion battery. Stop by Budds’ today to see the best Caddies in Ontario. You never know—we just may see one of these V’s yet.